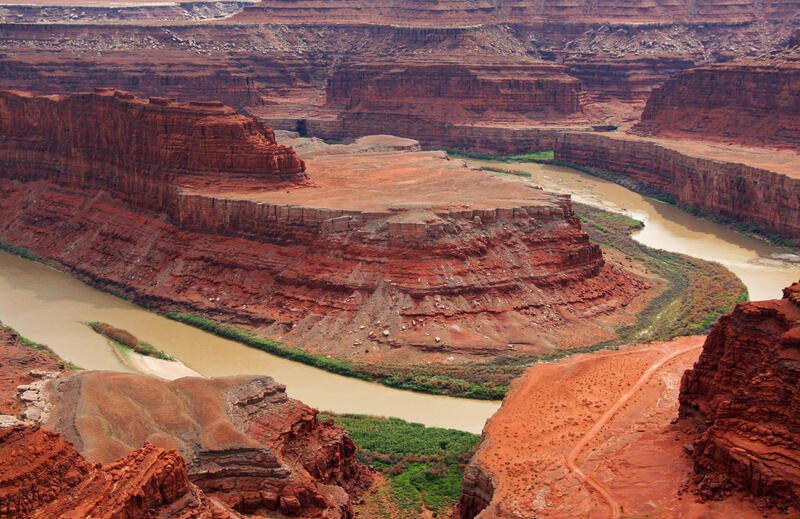 Prior to 1921 this section of the Colorado River at Dead Horse Point near Moab, Utah was known as the Grand River. Pull out a map of the United States’ desert southwest and see if you can locate these rivers: Rio del Tizon, Rio San Rafael, or Rio Zanguananos. How about rivers named Tomichi, Nah-Un-Kah-Rea or Akanaquint? Having some trouble? None of these names are used widely today, but at some point in the last 500 years they were used to label portions of what we know now as the Colorado River and its main tributaries, the sprawling river basin that supports 40 million people in seven U.S. states and Mexico, across one of the world’s driest regions. Until 1921, the Colorado River didn’t start in the state that bears the same name. It began in Utah, where the Green River from Wyoming and the Grand River from Colorado met. The story of how the Colorado River finally wended its way into the state of Colorado less than a century ago is a lesson in just how fickle our attitudes toward nature can be. 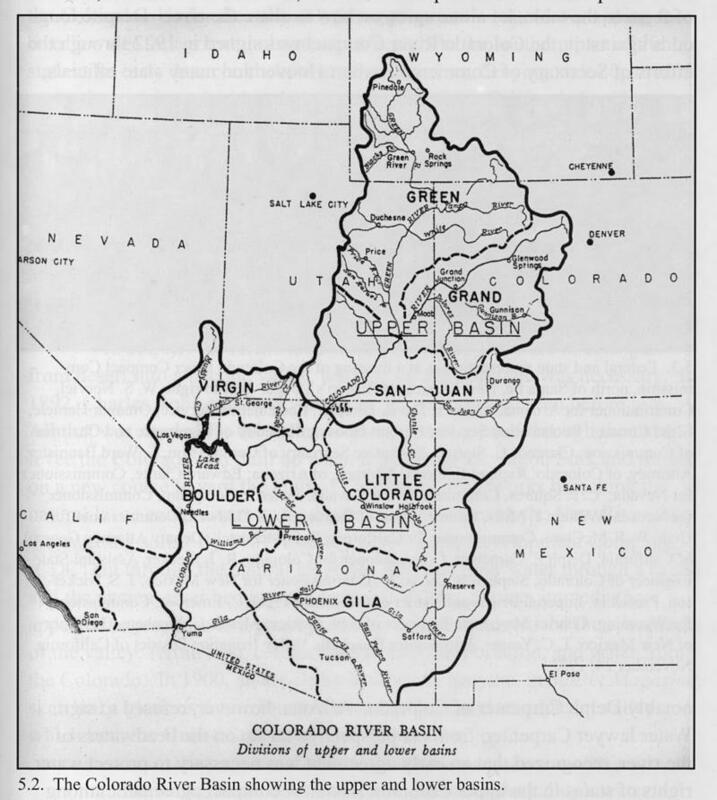 Luke Runyon reports how the Colorado River got its name. The names we give to places, mountain tops, rivers and vast stretches of land shape how we feel about them. Names are full of meaning, powerful symbols to rally behind or fight against. Conflicts over the names of neighborhoods and mountains aren’t uncommon. They’re attempts to correct wrongs of the past and reflect present day realities. Turn of the century Democratic Colorado congressman and avowed booster Edward Taylor knew that names matter. So much so that he made the Grand River’s renaming a personal cause. As a boy, Joseph E. Taylor III heard all about Edward Taylor -- his great-grandfather -- especially during long summer road trips to desolate stretches of the Rocky Mountain West. During one, the car rumbled across cattle grates out onto Bureau of Land Management rangelands, “followed by my mother waving her arms and saying, ‘your great-grandfather created all this,’” Taylor recalls. Taylor and his brothers groaned from the back seat. It’s hard to get a 10-year-old boy to care too much about anything, he says, let alone a family member he’s never met. It wasn’t until Joseph Taylor got into Western history in college that he had to reckon with his own family history. “One of my relatives showed up in every single historical study of the American West,” he says. Taylor is now a professor of American history at Simon Fraser University in British Columbia, Canada. He’s currently writing a biography of his great-grandfather. While Edward Taylor is best known for his eponymous grazing legislation -- the Taylor Grazing Act of 1934 which allowed for livestock grazing on on vast swathes of federal public land -- he also staunchly defended West Slope water. According to his testimony in front of the House Committee on Interstate and Foreign Commerce, Edward Taylor said he’d been carrying the torch for his river renaming proposal for more than a decade, from his time as a state senator. He felt slighted that the river his state was named after didn’t start high up in its mountains. “It seems to have rankled a fair number of people on the West Slope of Colorado, where the Colorado River headwaters were, that they had a name that really didn’t resonate with the state,” Joseph Taylor says. The Grand River just didn’t cut it. Edward Taylor wanted the Colorado River -- the same river that cut the Grand Canyon -- to extend into his district and flow near his constituents. He wasn’t going to let Utah or Wyoming lay claim to the river’s headwaters, despite the fact that the Green River is the larger drainage basin. Undeterred, and backed up with statistics that showed the shorter Grand River contributing more water to the Colorado River, he took on the river’s renaming as a personal crusade in Washington, D.C.
“He was known from time to time to get up on the floor and make glowing five to ten minute speeches about his adored state, and I think it was a genuine love affair between Edward Taylor and Colorado,” Joseph Taylor says. You can read the over-the-top affection Edward Taylor felt toward Colorado in his comments to his fellow lawmakers. One of his speeches has taken on legendary status among Western historians. Colorado State University’s archives has a copy of it on file. From start to finish Edward Taylor delivers an embellished, flowery pitch to Congress to boost his state — and belittle the Green River. We have in Colorado no State pride in the name “Grand.” That name is merely an adjective, and does not mean anything but large or great, and might be applied to any large or beautiful stream. Practically everything in Colorado is grand, and as applied to a river it is a very commonplace name. ... For the past 60 years, “Colorado” has meant the heart of the Golden West, the actual top of the world, the land of sunshine, good health, and gorgeous scenery, the summer playground of the nation, the Switzerland of America, the bright jewel set in the crest of this continent, where it shines as the Kohinoor of all the gems of this Union; the sublime Centennial State. At one point, Edward Taylor boasts about how many people the Grand River had recently killed, including chairman of the Garfield County Commissioners and the local road overseer. He juxtaposes it to the Green River, which he says, “is a comparatively small stream in Wyoming,” where everyone is able to easily cross in a raft. “I think the technical phrase for that form of rhetoric is ‘pulling out all the stops,’” says Patty Limerick, the Colorado state historian based at the University of Colorado’s Center of the American West in Boulder. “When Edward Taylor talks about the appeal of the Colorado River to Americans and why Americans should go see it, it’s not just saying, ‘Well, this is kind of pretty,’ it’s really on the borders of civic religion,” she says. To fully appreciate the efforts of Edward Taylor, you have to know what was going on in Colorado at that time, Limerick says. The western half of the state was stuck in a series of boom and bust cycles. Mines and farms, the region’s two largest economic engines, were struggling. In a resource-heavy economy, some on the state’s Western Slope started wondering if natural wonders should be preserved for tourists. In the early 1920s, after World War I, Limerick says more Americans started looking at their brand new cars as a means to see something great. A nascent tourist economy was beginning to take shape. “[There is a] recognition that there might be a whole other form of prosperity that comes from people coming to look at things in a state that is quite a show off state when it comes to landscape,” Limerick says. Just in Edward Taylor’s one speech, Limerick notes a slew of attitudes toward nature in play, and that’s a reflection of his constituents’ attitudes, how they interact with the West Slope’s natural features in their daily lives. “I think we wouldn’t do a massive distortion of history if we said there’s obstacle, there’s economic resource, and then there’s something aesthetic and religious,” she says. Early European settlers to the desert southwest often saw the untamed river as a menace. It inundated their farm fields, prevented easy travel to more verdant pastures, and sometimes swept away a relative or local official. As engineers, farmers, miners and politicians began to manipulate the river's flow into submission, it seemed less scary, Limerick says. Rather than purely an obstacle or threat, the river took on new forms in the culture. "I think the Colorado River is one great place to see the changeability and shiftiness of human attitudes toward nature," Limerick says. "It is totally legitimate and understandable that the first European encounters with the Colorado River ... would be to say: 'Good heavens, what a mess.'" 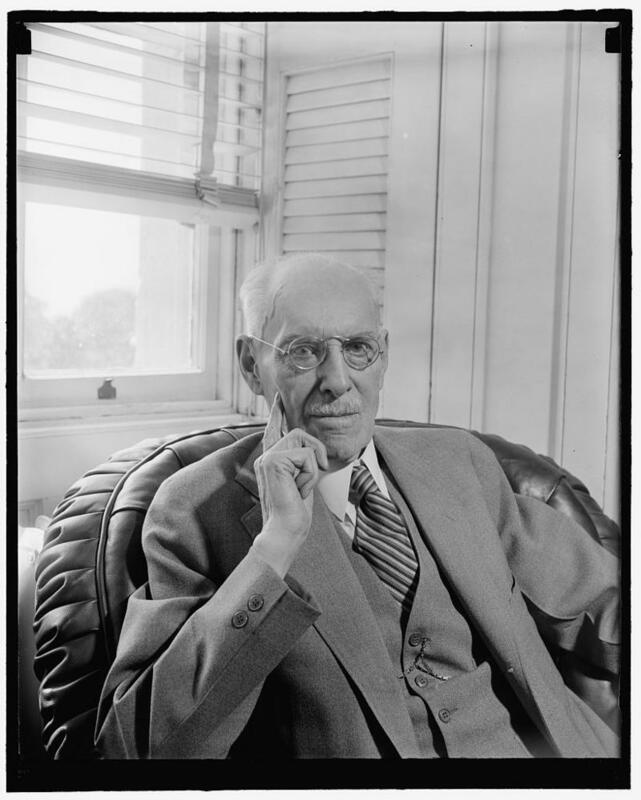 Edward Taylor brought that mix of attitudes with him to the House Committee on Interstate Commerce on Feb. 18, 1921. The committee’s chairman, Republican John Esch of Wisconsin, had recently been voted out of office. Joseph Taylor theorizes that the river hearing could’ve been the result of a last minute lame duck favor to a longtime colleague. Esch left the House of Representatives just three weeks later. As Edward Taylor wrapped up his final remarks on renaming the Grand River, he drew on pop culture of the 1920s to help drive his point home. Mr. Chairman, in conclusion let me say: That the Colorado River is formed by the Grand and the Green. The Grand is the father and the Green the mother, and Colorado wants the name to follow the father ... There is a very popular, beautiful, and famous song, which I hope you will have heard, entitled: “Where the Silvery Colorado Wends Its Way.” And I hope you gentlemen will help me wend the silvery Colorado's way into the grand State that bears its name. On July 25 of that year the House of Representatives made the name change official with the passage of a joint resolution. A little more than a year later, the Colorado River Compact was finalized. It's the river's guiding document that apportions its water to some of the driest states in the country. Without a doubt, actions taken in the early 1920s established rules, policies and naming conventions that shape how we think about the Colorado River today. Vestiges of the Grand River are still in place. The Grand Ditch pulls water from the Colorado River’s headwaters to the state’s eastern slope. Grand Junction, Colo. got its name from the confluence of the Gunnison and Grand Rivers. Colorado’s Grand County still bears the moniker. So does the town of Grand Lake. They’re remnants of an old name, a label Coloradans and members of Congress a hundred years ago discarded. And if there’s a lesson in Edward Taylor’s effort, it is that all it takes is one relentless person and a willing constituency to think of a natural space in a whole new way, and change its name.